This CB radio package was designed to give truckers an all-in-one kit to install a CB radio in their rig. Despite the intention of this kit, it can be installed in any vehicle that will accommodate a larger radio and can use one of the antennas included. Our general recommendations for truck drivers are set as the default options for this kit, but there are equally good options available to suite your tastes. You can select the options for this package above, and we have outlined the options and included more information and links to the individual products below. The radios in this package were chosen because they provide a full range of features, and they have a built-in SWR meter. Truck drivers tend to be more familiar with CB radios, and can make good use of extra filters and fine tuning. A built-in SWR meter is very convenient and gives you the ability to check your antenna at any time. Cobra 29 LTD Classic - We recommend this radio by default because it is a time-tested radio that has been popular with drivers over the years. Galaxy DX959 CB Radio with SSB - Great Features, classic style, tried and true. Uniden BearCat BC880 - This is a very modern radio that is a little smaller than the others on this list. President MCKINLEY CB Radio with SSB - Compact yet full of features and offers selectable color display. 1) We only recommend dual antennas if there will be at least 7-8 feet inbetween the antennas so the performance is not negatively affected. A dual antenna kit is good for full 360 degree coverage. This is especially important for long haul drivers on the open road. 2) Tune your antennas. The radios in this kit all include a built-in SWR meter. There is no reason not to tune your antennas, and check them periodically to make sure your antennas are optimized for performance and to help ensure that you don't potentially damage your radio. 3) If you are doing a lot of in town driving or are up in the mountains on back roads, you may want to go with a single antenna on the drivers side. There is no point to having two antennas if you keep breaking one off on tree branches. A single antenna mounted on the driver's side (which is usually closer to the center of the road where there are less things to hit overhead) will serve you better. 4) Looking for the Cascadia Kit? 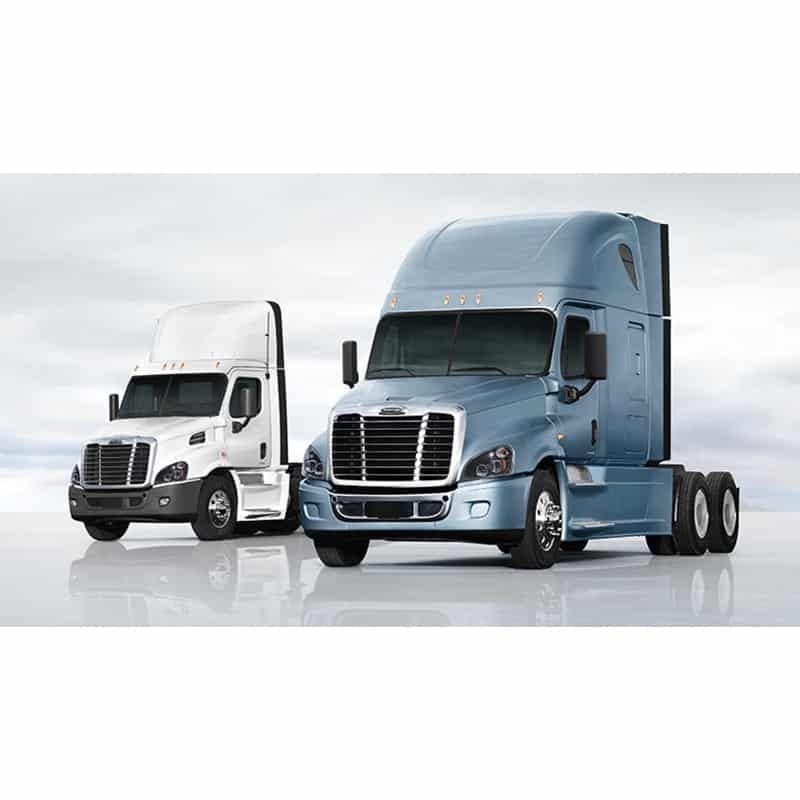 The Frieghtliner kit was designed for the newer Cascadia Trucks. The will work with most newer semi trucks. Dual Trucker Antenna Kit is our default recommendation for Trucks. These antennas will go head to head with Wilson any day of the week, and the double shielded coax will give you extra protection from inverters and other electrical devices in your cab. Accessories Unlimited Dual Antenna Kits - High quality products that don't break the bank! Firestik Antenna Kits- Firestik is a trusted name in CB antennas. We offer the dual or single Firestik antenna kit. Both kits include a spring for the antenna(s), a high quality coax, and sturdy mirror mount(s). If you are planning on mounting your radio in an overhead slot, down on the floor, or on the passenger side, you will need a good external speaker to get the audio closer to your ear. We recommend the Boomer from Diesel. It puts out a loud and clear sound and has several options for mounting. We also have other options available for powered and economical CB speakers. For the most part, you can stick with the microphone that comes with your radio, especially if you go with a Peak and Tune on the radio. We have a few options for upgraded mics that are either favorites with drivers, or can come in handy (hands-free, that is). Astatic D104 Power Mic - This microphone is a favorite among truck drivers. Astatic is a synonymous with quality in the CB world. Superstar DM452 Echo Mic - This is another power mic that includes and echo feature. Cobra CA MS4 Hand Free Mic - This mic will keep you safe while driving and talking. Cobra CABTCB4 Wireless Mic - Another hands free mic that will also connect to your phone via Bluetooth. And of course this kit comes with the unparallelled support of the CB World staff. If you have any problems or questions during installation, we are here to help! 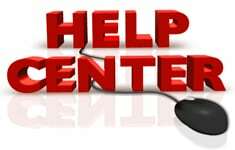 You can check our help section any time for detail installation and troubleshooting guides, or contact us directly with any questions!